Things have been a little chaotic my end as I’ve had my final uni exams and a crazy work schedule!! But I have now completely finished uni which means I can finally get back to blogging about lush! 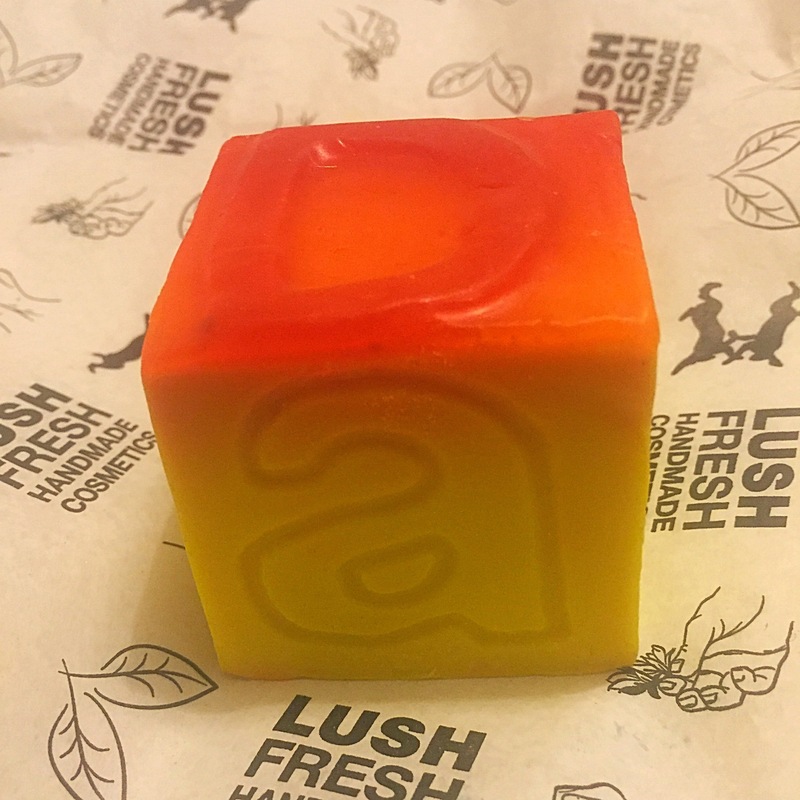 As Father’s Day is fast approaching I thought I would do a little review on the Thanks Dad soap from this years lush Father’s Day collection. Although I never been much of a fan of soap, I’m slowly starting to try a few of the lush soaps out and have so far been pleasantly surprised with how much I like them. I really adore the design of the Thanks Dad soap! It is perfect for a Father’s Day range. 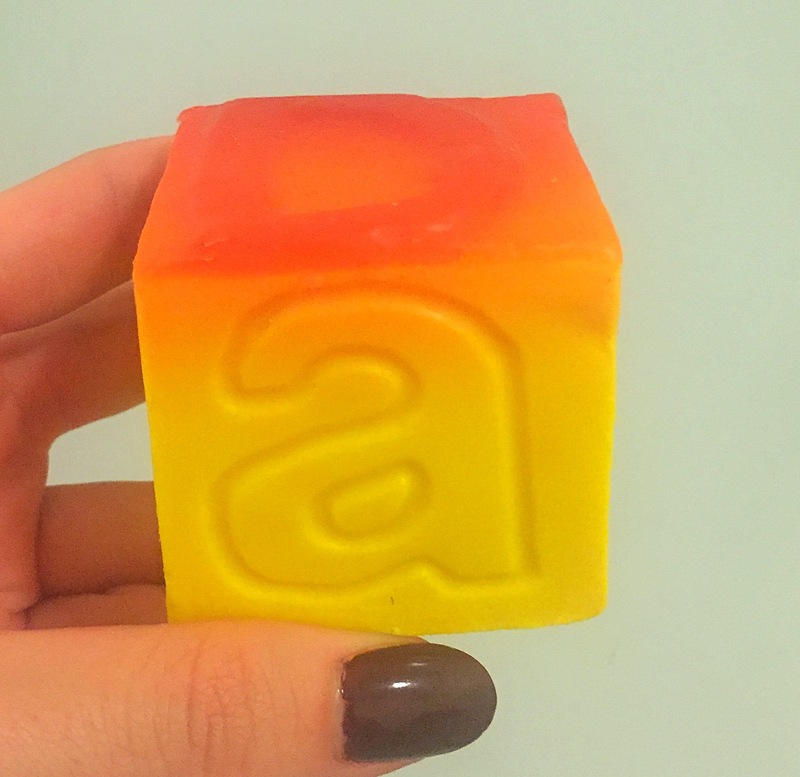 The soap is designed to look like a child’s building block, with the letters D A D on each side of the block. The soap is also very colourful featuring an array of orange and yellows. 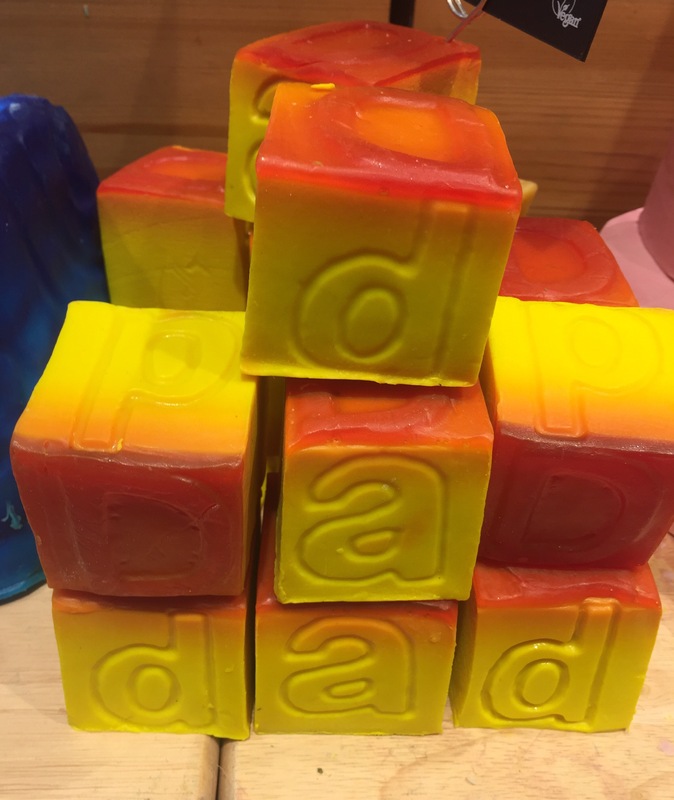 The Thanks Dad soap contains a good helping of Brazilian orange oil meaning it has a lovely fruity scent. The scent isn’t very strong but still creates a lovely almost warming fruity scent. If you have happened to try the bouncy bunny shower jelly from the Easter range this year the scent is very similar to that. When you first look at this block of soap it does seem quite small. It would comfortably fit in the palm of your hand. However this little block of soap is in fact a 120g piece meaning it is around the same size as an average slice of soap you get from lush. The I quite like the shape of this soap, as it fits into the hand nicely making using this product much easier. I found that once water hit the soap it started to lather straight away and the scent elevated straight away. Overall I really enjoyed this product. I loved the scent and thought the design was great. This product would make a great gift for Father’s Day or even as a little treat for yourself. Ingredients: Glycerine, Water, Rapeseed Oil, Coconut Oil, Fresh Orange Juice, Sorbitol, Brazilian Orange Oil, Limonene, Sodium Stearate, Titanium Dioxide, Sodium Chloride, EDTA, Tetrasodium Etidronate, Sodium Hydroxide, Colour 45350, Colour 14700, Colour 17200.